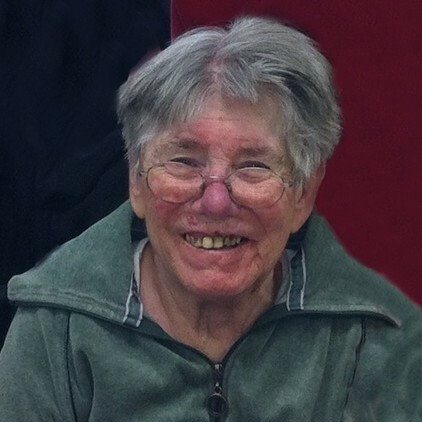 Connie Teichmann walked with the Lord in the Gardens of Paradise without crutches on March 22, 2018. She dances with her parents and brothers in the ranks of the Faithful Departed. Funeral services will be held at 10:00 AM on Monday, March 26, 2018, at St. Hyacinth’s Catholic Church, 4500 W Hills Trail, Amarillo, TX 79106. Immediately following the funeral services will be interment at Memory Gardens, 14200 I-27, Amarillo, TX 79119. On February 10, 1939, Rose and Ferdinand Teichmann welcomed their daughter, Constance Josephine Teichmann, into the world in Amarillo, TX. There were complications during the birth that left Connie with cerebral palsy. However, her mind was sharp and she lived an active life, despite her crippling condition. She was fiercely independent. She graduated from Palo Duro High School in 1961. Though she could not drive a car, Connie rode her 3-wheel bike everywhere. The Deputy Sheriff of Panhandle would pull Connie over for speeding when she was on her way to Dairy Queen. She worked for St. Ann’s Nursing Home in Panhandle, TX for 39 years, until she had to retire. She was the National Secretary for the Indoor Sports Club, an organization that organized travel packages for the handicapped. She travelled across the USA with this organization. Connie also took a pilgrimage with her sister, Thelma Gray, to Lourdes, France. Connie loved to keep in touch with her family, sharing birthday cards and holiday greetings. Since she could not handwrite well, she used a typewriter to communicate. She loved Cokes and Hershey Bars. Connie was preceded in death by her parents, Rose and Ferdinand Teichmann, and brothers, Vincent Teichmann and Paul Teichmann. She leaves behind her two sisters, Thelma Gray, Denison, TX, and Florita Stephenson, Ukiah, CA; her brother-in-law, James Stephenson, Ukiah, CA; her sister-in-law, Bernadette Teichmann, Amarillo, TX; and 3 generations of nieces and nephews. Family Night will be at 6:00 PM on Sunday, March 25, 2018, at Schooler Funeral Home Brentwood Chapel, 4100 S Georgia St, Amarillo, TX 79110.